This four-piece easy grip grinder is by far one of the simplest, most user-friendly grinders you will ever use. 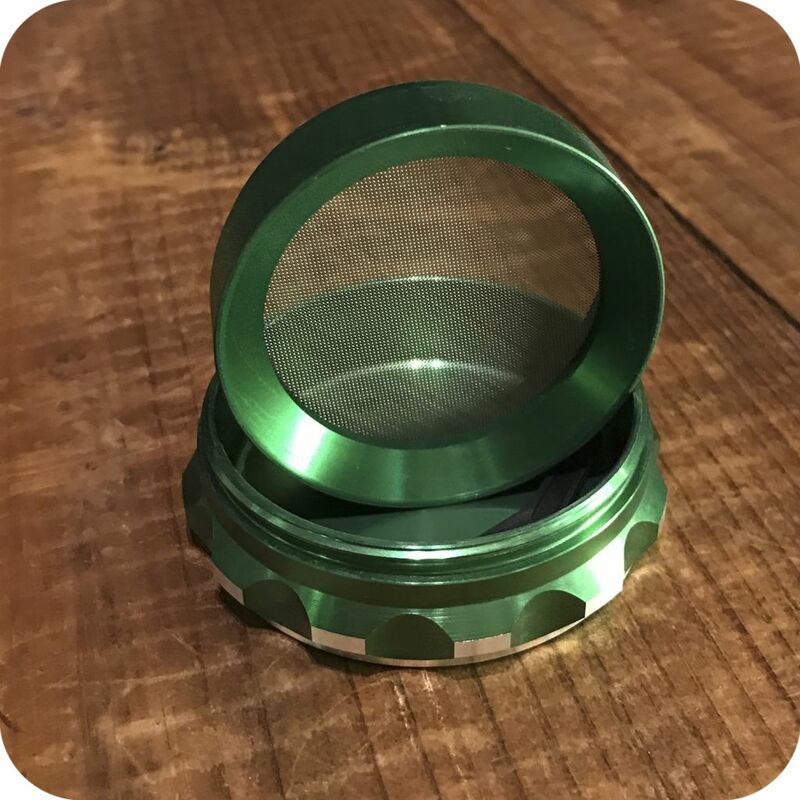 Along the perimeter of the grinder are grooves that make it super easy to grip and disassemble your grinder. Sometimes grinders tend to get sticky with many uses, making it more difficult to twist and untwist them. That’s no concern here! 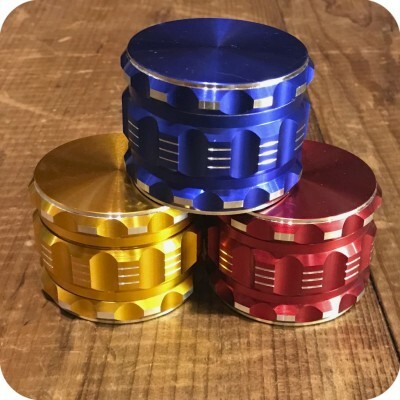 This grinder will always be simple to take apart because of its easy to hold and twist grips. 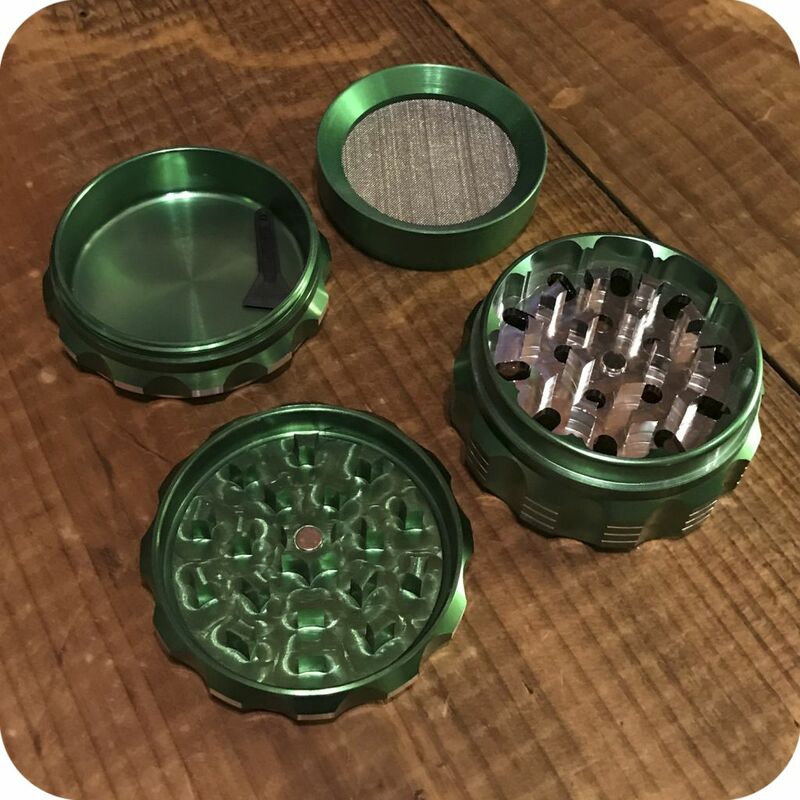 Additionally, the lid of this grinder is magnetic, making it safe to pack along when you’re on the go. 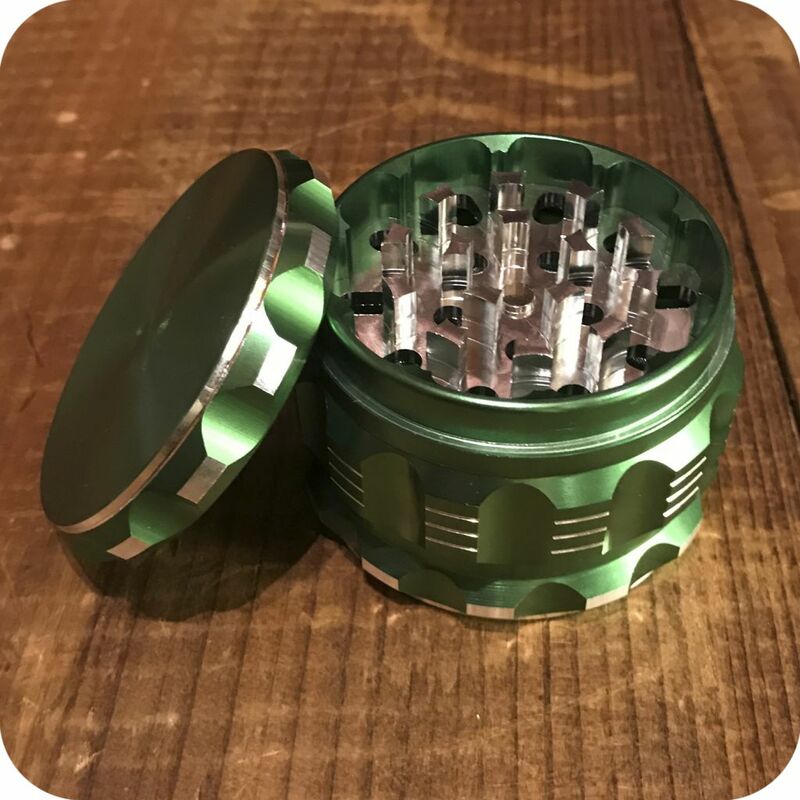 One of the best qualities of this grinder are its uniquely shaped teeth. These thorough, trapezoidal, teeth will surely get the job done. Just pack in some herb, cap it, and twist! After these razor-sharp teeth grind your herbs to a perfect consistency, unscrew the middle chamber and you’ll see your herbs resting on top of a mesh screen. You can then remove the screen (no twisting involved!) and easily pour out your ground material. No more struggling to remove your herb! What could be more convenient? Put the screen back on, and give the bottom chamber a good tap, so you can begin your pollen collection. How do you build a pollen collection? 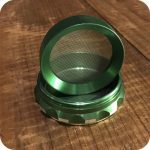 The small particles left behind from your herbs will fall down to the bottom chamber through the mesh screen. Once you build up enough of it, you can scoop it out using the small plastic tool included in the grinder. Sprinkle some on a bowl or in a rolled cigarette. Your pollen collection will become your best friend when you’re out of legal herb. 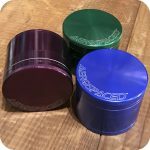 These grinders will stick by your side through many many uses. 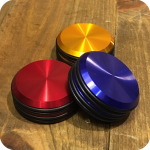 You’ll never need or want another grinder. Grow old with this grinder. Available in blue, gold, red, or black. Please specify in your order. 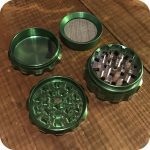 Tags: 4 piece grinder, Grinder, keif catcher, magnetic grinder, Metal Grinder, pollen catcher, removable herb catcher.